Do you like Reese’s peanut butter cups? If so, I have a treat in store for you. 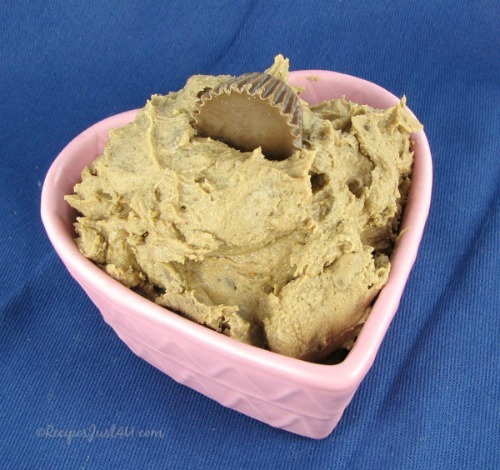 This recipe for Reese’s Peanut Buttercream frosting is one of the most decadent frosting I have ever had. It’s all I can do not to dive head first into the bowl with a spoon and a lack of desire for my diet. 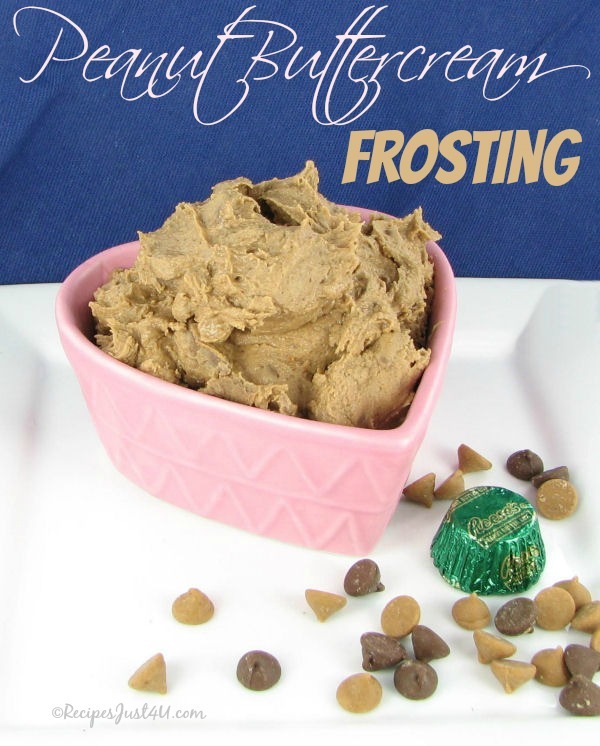 What makes the frosting so delicious is the bag of chopped up mini peanut butter cups. I made whoopie pies the other day and use the frosting as the filling for them. But when they were done, I had a big bowl of it left over and decided it needed its own recipe and pictures. Seriously, folks, this is one tasty and rich frosting. Perfect for topping chocolate brownies, any type of cupcakes, and of course cakes. I like to leave some chunks in the frosting mix so that there is a bit of crunch. You can, of course, beat it more smoothly. This is the consistency I ended up with. It compliments chocolate the best but I think you could use it on all types of baked goods. I’m even considering making whoopie pie short breads with it and some left over short bread Christmas cookies! Best used right away. It hardens if place in the fridge. To use it later, place on the counter to soften so the consistency becomes spreadable again. In a small saucepan over low heat, combine the peanut butter/chocolate baking chips and heavy cream. Heat until the mixture is melted and smooth. Let the pan cool for about 5 minutes. 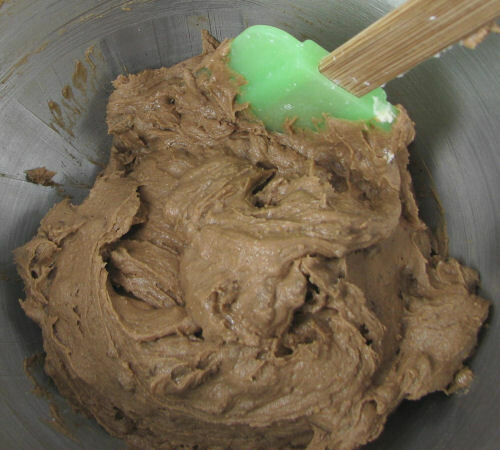 In a mixing bowl of your stand mixer, combine the butter and vanilla extract and mix until creamy. Slowly add in the confectioner's sugar and the cooled peanut butter and cream mixture. Beat until creamy. Add in the chopped Reese’s bars and beat on low for 1 minute. I don't process it until it is smooth. I like the texture of the bits of Reese's bars through the frosting but if you want it more smooth, you will want to mix for longer.